This principle, a simplified, colloquial take on the Project Management Triangle, explains a lot about service repair. But it may also explain a lot about the DLC of Fallout 4. 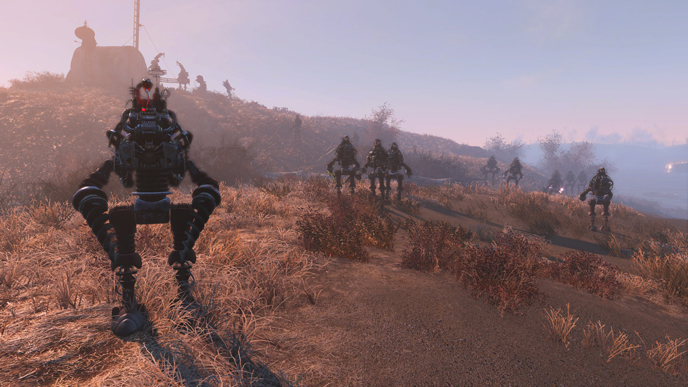 As I discussed in my piece about Fallout 4’s modular game design, bigger isn’t always better. When it comes to games development, faster isn’t always better either. On the surface it defies logic; less development time means reduced production costs, and a flawed game is better than no game at all. But when speed and cost are prioritized over depth, the end result suffers. At what point do we acknowledge our limitations and choose to sacrifice scope in the interest of quality? It’s no secret that videogames are the most expensive form of entertainment to produce. Innovations like cloud computing and procedural generation, meant to address the growing technical demands of the medium, have offered some reprieve. But the gaming audience’s hunger for open world games, co-op shooters, MOBAs, and other genres demanding ever-expanding resources somehow always seem to just outpace the ability to make the process less expensive. Combined with the enormous costs of game marketing in an oversaturated market, even games that sell millions of copies can be deemed unprofitable. The Tomb Raider reboot, for example, was initially deemed a failure for selling 3.4 million copies in the first month of its launch, only achieving the “5-6 million” necessary to break into the green at the end of 2013, nine months after its release. With such a high bar set, many games are doomed to fail before they even begin development. For developers and publishers that produce epics, the pressure is on. Every new installment in a franchise is expected to be bigger and better than the last, while game prices have remained the same. In response, post-release content has become the norm, often planned and designed not as an afterthought but in parallel with development of the base game. This division of resources is often criticized by consumers, who see the breaking down of content into smaller parts as artificially inflating a game’s price. However many defend it as a necessary step towards profitability in a competitive and overcrowded market. 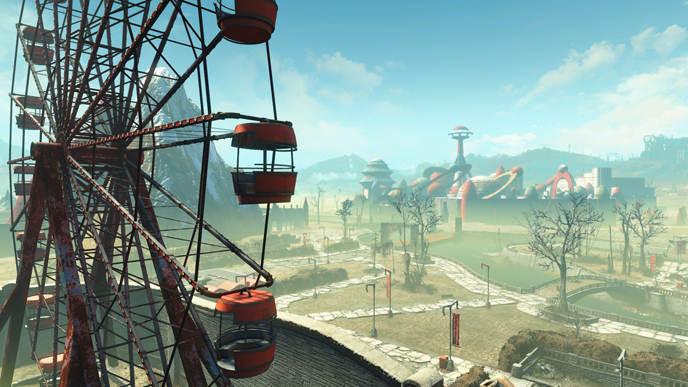 When Bethesda released the sixth and final piece of Fallout 4 DLC, Nuka World, it joined Far Harbor as one of only two story-driven DLC for the game. The remaining four focus mostly on the Workshop, adding to the many items the player can use to build and decorate their settlements. 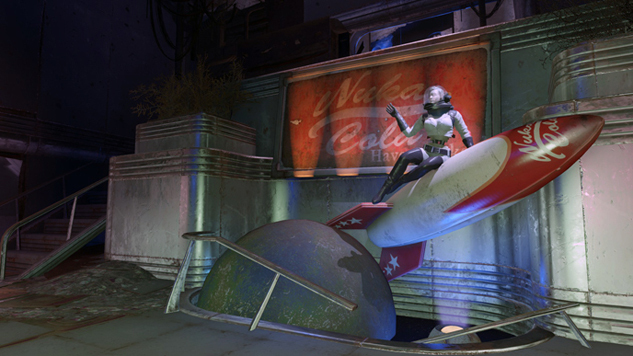 Some add completely new features, like the arena items of Wasteland Workshop, while others, like Vault Tec Workshop, offer contribution to the greater series lore. But a large portion of the DLC serves to monetize reused art assets, a gesture that essentially charges customers for the same content twice. Compared to the robust post release content of Fallout 3 and Fallout: New Vegas, it’s a let-down. The DLC of Fallout 4’s predecessors wasn’t always perfect, but it was definitely more hearty. With the absence of complex crafting system to monetize, they relied on new story missions, setting each chapter in a new environment and offering a refreshing change of scenery that extended the life of the game by dozens of hours. 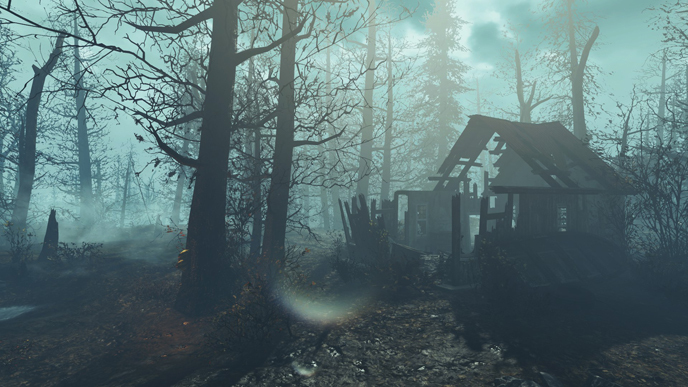 At its best, Fallout 4 DLC does the same, taking us to the gloomy moors of Far Harbor and the dusty sprawl of Nuka World, inspiring and motivating us to explore again. At its worst, it creatively repackages art assets to support a feature that should have been DLC in the first place. In general, game jams are a good thing. They’re a wonderful celebration of the intersection of code, innovation and creativity. But while game jams have churned out some delightful games over the years, typically their popularity comes with the caveat of imperfection. Audiences forgive their rough edges and inefficiencies because they’re aware of how little time was involved in the process. That is, after all, the point of a game jam: to put together something workable within a short time as a creative exercise. Rarely is the end product passable as-is. And never is it meant to be. Game jams are curated with the specific intention of prioritizing speed over quality. Which isn’t to say they do not have merit. Crowdsourcing has enormous value as a collaborative effort in brainstorming, resulting in a vibrant exchange of new ideas. But combined with the extreme emphasis on short term efficiency espoused within the game jam imperative, the resulting work can feel unfocused and skimpy. It is hard to achieve narrative cohesion without the strong leadership of singular vision. It’s also difficult to establish depth without the necessary time to conceptualize, process, and refine new ideas. Game jams are of course used in the interest of time, and short development cycles may, as Bethesda VP of PR and marketing Pete Hines says, “keep everybody happy;. But while reducing the wait time between releases may appease people on the short term, it’s not going to make up the difference between a good and great game. Players aren’t as willing to forgive imperfections and rough edges when it comes from a developer who has the resources to do better. And they shouldn’t have to. It’s not the consumer’s job to accept compromises in quality for the betterment of the game or its creators. That’s the publisher’s job. The solution to achieving short wait times is not to cut development corners by designing collaborative brainstorming efforts around game jams, but rather, keep content under wraps until it’s nearly ready for release (as they did with The Elder Scrolls V: Skyrim and the base Fallout 4 game) while providing employees with the means to do their work efficiently. Given the astronomical expenses of creating and producing a videogame and the still-growing demand for open world titles, the need for cost effective game design will only expand in the years to come. But when the only tool you have is a hammer, everything starts to look like a nail. The line between “we can develop this faster” and “let’s develop this as fast as we can” is paper-thin. Achieving a balance between efficiency and quality will depend not just on managing player expectations but also reining in ambitious design goals so to better balance resources across departments. At the very least, if game jams are going to be part of the development process, it behooves the developer to flesh out the resulting ideas until the end product has substance. 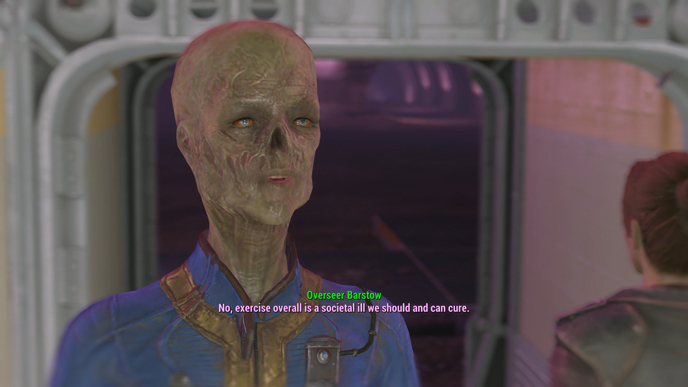 Across the board, Fallout 4 DLC lacks depth. Automatron was sloppy in execution, ignoring previously established canon. Contraptions Workshop and Wasteland Workshop offered no context for their inclusion. Vault Tec Workshop briefly and very deliciously touched on the chilling events of Vault 112 in Fallout 3, only to wrap up without fully exploring its potential. And both Nuka World and Far Harbor, the chapters with the most narrative promise, ended far too soon. If most of it weren’t so shallow in execution, I’d be inclined to support the game jam method in its development. But, like overlapping rock pillars in a dank Skyrim cave, the seams are beginning to show.